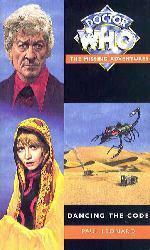 This is the ninth novel in Virgin's Missing Adventures series. Captain Mike Yates is an officer in UNIT. He has worked with the Doctor for several years. Sergeant Tom Osgood is a UNIT officer with a talent for technical issues. He will still be around by The Daemons.